We didn’t want to bore you since Georgia ranks in the top 5! I think you will be happy with what you find! If you live here in he greater Atlanta you have some of the cheapest insurance rates in the nation. Its time for a free insurance checkup courtesy of your friendly neighborhood insurance agents at Lloyd Pro Group. Click, call or stop by one of our 5 convenient locations. Will your dog PREVENT you from getting home insurance? YOU know in your heart of hearts that your dog would never bite anyone. The problem is that SOME dogs DO bite. Atlanta home Insurance companies have to pay millions of dollars a year to pay victims of dog bites. Certain dog breeds statistically BITE more than others. Sure you might think of a Pit Bull. But that is only 1 breed on the dangerous list. 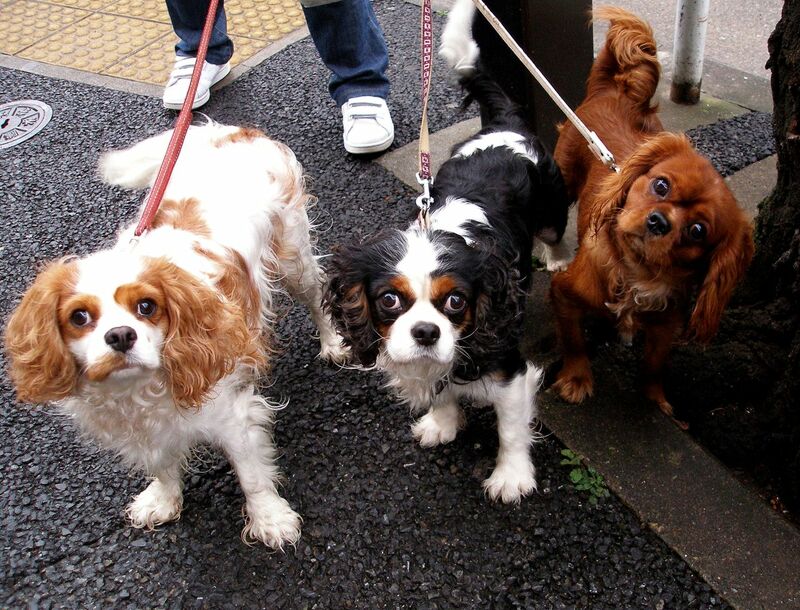 Find out what these breeds are. AND how it could impact you if you own a home. Learn how your dog can prevent you from getting home insurance in Athens. If you own or manage a small business have you thought about the advantages that will come with offering your employees group health benefits and insurance? Did you know that group health coverage is much more affordable than most realize? Group health insurance will cover the employer, employees, and many times the dependents of the employees. This type of health insurance is beneficial for you, the employer, because it will help you recruit and retain the best workers. And the benefits for the employees are obvious as they will have medical coverage should they professional attention. Also, if your employee has a history of medical issues, they cannot be turned down, as is possible with an individual plan. This means both YOU and your prospective employees win BIG TIME. When your employees are healthy, your business is healthy. 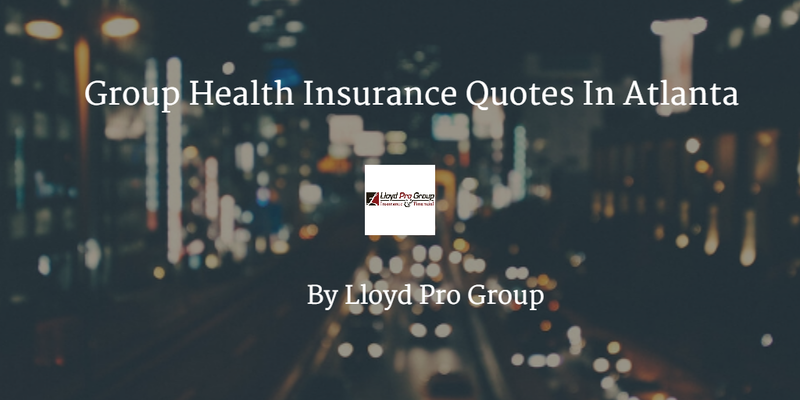 Click here to learn how to get free group health insurance quotes. Here is an article we wrote about health insurance in Prague. The health system is very different there than here in the states. How does health insurance work in Prague? What if you are going to visit or work there, can you get health coverage? We will answer these questions here. Healthcare in the Czech Republic is paid for on the basis of contributions from your salary (if you work for a Czech employer), and they are paid to a public health insurance company. If you are self-employed you can choose which health insurance company you want to deal with. Many employers and individuals have an arrangement with Všeobecná zdravotní pojišt´ovna České republiky (General Health Insurance Company of the Czech Republic) or VZP (www.vzp.cz ), as it´s normally referred to. It´s the largest health insurance company in the country, and is used to dealing with foreigners. It has offices throughout the Czech Republic. Moving insurance: Is it worth it? If you are moving soon then you might be curious about the optional movers insurance they offer. It is scary to think of someone else DROPPING your stuff. Can your home owners insurance company help you with a move? Your personal property is protected under something called a “named perils” basis. What does this mean? Simply that only the specifically named perils in your particular policy will be covered for a loss. An example of this would be a loss due to fire or theft. Once the movers close the door of the moving truck and take possession of your things your standard home insurance policy isn’t going to help you any more. You need to get some moving insurance coverage from the movers. There are two types so pay close attention so you know what you are getting. Full-value protection- You will have to pay for this. What is the difference between the two of these coverages? Contact an Atlanta home insurance agent with good reviews to help you. Will my personal things be protected with property insurance? How do I know that my personal things are protected with property insurance? So you are loyally paying your renters insurance and home insurance premiums religiously for years. Thankfully you haven’t needed to file a claim yet. But what if you needed to do so tomorrow… Would you be covered like you would hope to be? It all depends on what kind of riders you have added to your policy. Actual Cash Value: The coverage will pay out on what the property is worth at the time of the loss. As you can imagine this takes into consideration depreciation of the item based on the Age of the item, market value and the condition of the property at the time of loss or damage. In other words a $1,000 TV when new might only be worth $150 now after a few years of use. Replacement Cost: This coverage will write you a check (minus the deductible) for what it would cost to REPLACE the item and buy you a new one if damaged or destroyed. It ignores depreciation completely. Lloyd Pro Group and Nationwide insurance have been providing free home insurance quotes in Atlanta since 1985. How much homeowners insurance should you have? Will you make this common mistake when getting homeowners insurance? A homeowners becomes very DEPRESSED after they experience a pipe break in their home or damage from a storm. Why do they become DEPRESSED? They chose their home insurance policy simply by PRICE. You see they never stopped to THINK about the value they were getting. When you call Lloyd Pro Group we will help you to answer the following questions before giving you a home insurance quote. The structure of your home. Your personal possessions. Remember to use a home inventory sheet. Read about points 3 and 4 here in the article How much home insurance should you get? Protect yourself with Home inventory! Just suppose You had a broken pipe at 2 am last night? Everything you loved was RUINED. What would you FREAK out over the most? Protect yourself with a home inventory before its too late! Don’t wait until you have a broken pipe to start thinking about your damaged possessions you need to replace. Frozen pipes haver a way of SNEAKING up on you! Take a home inventory today. Consider getting high end items appraised and then adding riders. Need help with your Cheshire home insurance? Call for a free quote now. How to file a home insurance claim in Atlanta? 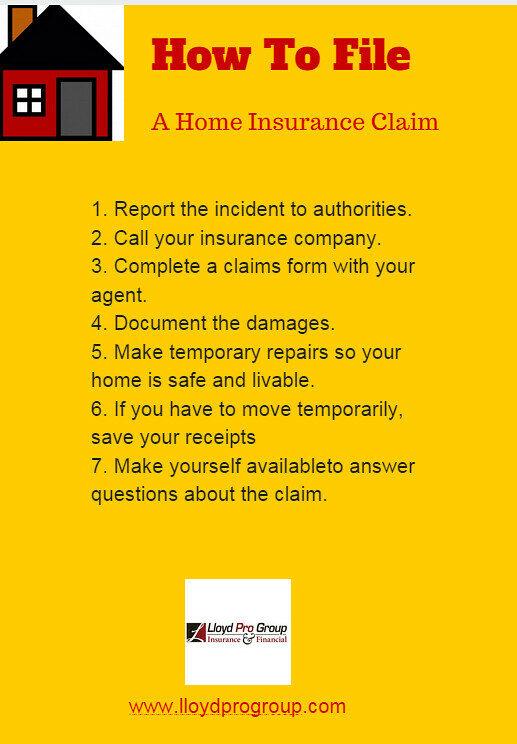 Are You Aware Of These 7 Tips To File a Homeowners Insurance Claim in Atlanta? Maybe there has been accident at home. The only way that your homeowners policy to pay for itself is if you file a claim in a timely and complete manner. So you need to file a claim do you? Here are 7 tips from Lloyd Pro Group your favorite place to get a home insurance quote in Atlanta. 1. Report the incident to authorities. For a burglary, vandalism, fire or other trauma, this is a vital first step. Leaky roofs, malfunctioning HVAC systems, etc. aren’t typically reasons to contact the police or fire department. If police and fire are dispatched to your residence, give them all the details of the event. Keep copies of their reports – you’ll need them when filing your insurance claim. 2. Call your insurance company. After you file a police or fire report, contact your insurance agent or company’s claims department. Your policy probably requires you to do so within a certain amount of time after the loss. When you call, have all of the details of the incident, plus your policy number. 3. Complete a claims form with your agent. This form includes all the details of the incident. Be thorough – note what was damaged, when and how. For smaller claims, filing a claims report should suffice. For larger losses, your agent may send an adjuster to inspect the damage. 4. Document the damages. Before you begin cleanup, photograph or record the damage and include the images with your claim. It’s a good idea to visually document your home and belongings before a loss, so you have “before” and “after” images when filing a claim. Remember that Nationwide and Lloyd Pro Group are on your side!